The holidays can be stressful for so many of us. We have shopping to do, treats to bake, gifts to wrap, parties to attend, carols to sing, decorations to put up, cards to send and the list just goes on and on and on! So many people that I talk to get excited for the holidays then while in the holidays they are just ready for them to be over. Then the day after Christmas they feel a huge let down because they were to stressed too enjoy it. The holiday season should be joyous! After all it is the celebration of the birth of our King! The One who came to save us and give us an eternal life! The One who came to give us a hope and a future! How can that not be exciting? How can we keep the joy and peace in such a busy, stressful time? Light a peace candle. A couple of years ago I was reading Women Living Well. Courtney suggested using a peace candle. This caught my attention since I love candles and burn them almost daily. I love the fragrance and the ambiance they give. But what makes a candle a peace candle? Place a candle in a high traffic area in your home, such as your kitchen. Light the candle first thing in the morning and do not blow it out till you go to bed at night. Each time you walk by your peace candle, say a prayer for peace. I pray Father, I ask you to send your peace, love and joy to my home today. It is okay to decline invitations. People throw parties during the holidays. They are fun and we all love going. But do not let yourself get so busy. Decide which parties are the most important to you and your family. Politely decline the rest. People really will understand. Always have a night off. You need a time to relax. With all that you have to do, make sure you schedule at least one night a week free from everything. Other than the holidays, the kids’ sports seasons are our busiest. We make sure that through these busy times, we have one night free. As soon as my husband comes home, generally around four in the evening, everything stops. No work, no chores, no rush. Just time to relax and enjoy each other’s company. Get plenty of rest. Whether on your night off each week or another night that week, go to bed early at least one night a week. If you normally go to bed at ten, once a week schedule yourself to go to bed at nine. If the kids go to bed at nine, have them go to bed at eight. We can all use the extra rest. Forget the mess and let the kids help in the kitchen! When kids help in the kitchen they often make a big mess. I love when my kids help me bake, but if my time is short I do not let them help because I know the mess there will be. Forget about the mess! Let them help anyway and have fun! Have a movie and hot chocolate day! I am blessed to stay home with my kids and one of our favorite things to do during the holidays is bake some cookies, make hot chocolate, turn all the lights off (except Christmas lights, of course! ), grab the warm, fuzzy blankets and watch a Christmas movie together. This is a way to relax and have fun with the kids. Don’t go into debt! Pick to a gift budget that works for you and do not go over it. Be creative. Instead of buying a toy for your niece or nephew that you know will end up at the bottom of the toy box before New Year’s, make a date with them! Make plans for them to come over to your house to spend the night and make it a fun night. Do homemade pizza, watch movies, make memories! Instead of buying your husband another tie, schedule date nights. Dates you know he would like. His favorite restaurant and an activity he loves. Have the babysitters already planned. Forget cards! If you spend hours on end sending Christmas cards, hold off on doing them. Instead, send spring time cards to your family and friends. This frees up your time now, but you still get to let them know how your family is doing. Or if cards does not seem all that important to you, just don’t do them. Organize your stops. If you have several places to go to visit family on Christmas day, sit down with your husband and organize each stop. If you are going to see the same family members at Great-Aunt Martha’s that you will see at your parent’s house, maybe you could not go to Great-Aunt Martha’s on Christmas Day. Instead you could visit her in January, get more one on one time with her and let her see that you do not visit just because it is a holiday. Be sure to pack the kids’ snugglies! When my kids were little I noticed on the holidays they would get very fussy. All of the traveling all over town, eating so much food, people fussing over them, it all made them cranky. If you have little ones and they have a special blanket or teddy bear, make sure you take it with you for extra comfort. Even though we tend to eat a lot on Christmas, if you think they might get hungry in between meals, take along some fruit, granola bars or a peanut butter sandwich to satisfy them. Unplug. Of course we want to get on Facebook, Twitter and other wonderful social media sites and wish everyone a Merry Christmas. But don’t forget to unplug and spend face to face time with those you are physically with. Include the Birthday Boy. We celebrate Christmas because of Jesus. Make sure you make Him a big part of your day. Sing worship songs to Him, read the Christmas story straight from the Bible, take communion before the meal, and pray with the family. Never, ever skip your quiet time with God. Period. This is the most important one. No matter how busy you think you are, skipping your time with the Father cannot happen. After all, this season is all about Him! 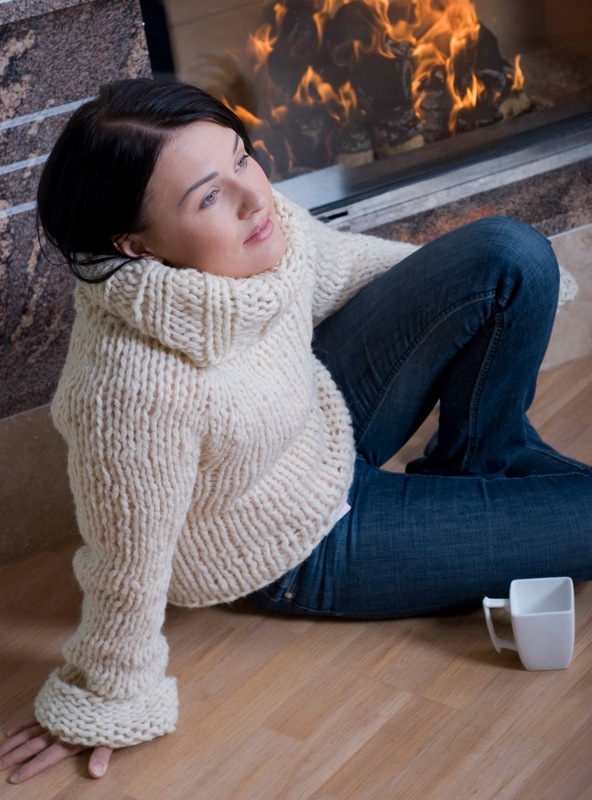 These are just a few ways to keep peaceful in a stressful season. Make Christmas about celebrating the King! I cannot think of anything more joyous than that! Woman to Woman Ministries presents the Christmas Blessing Giveaway! Join thirty-two bloggers for ideas and advice on how to remain peaceful in a stressful season. In addition to sweet encouragement on keeping the peace in your home and heart, we are giving away a blessing of $320 in PayPal cash. The winner will have the money transferred to their PayPal account where they can use it for Christmas celebrations, groceries, bills, whatever they need. To enter to win simply complete all of the tasks in the rafflecopter below. Please visit the other sweet bloggers that have made this giveaway possible. *No purchase necessary. Must be 18 to enter. Void where prohibited by law. This giveaway is in no way sponsored, endorsed, or associated by Facebook. By entering this giveaway, you agree to release Facebook, Woman to Woman Ministries and all participating blogs of all liability. Contest ends at 12:01am EST on Tuesday, December 11, 2012. Winner is randomly chosen by Rafflecopter and will be emailed on December 11, 2012, then funds will be transferred to winner's PayPal account. Great points, Jenifer, and I have joined the giveaway, it's huge! Thanks so much for the opportunity! Thank you. Blessings to you this Christmas. You are a beautiful woman of God. I am blessed to call you a friend. Thanks for the opportunity to join other blogs and possibly win some much needed money. Jenifer - Thank you for being a beautiful woman of God and a good friend. Thanks for the opportunity to win some much needed cash too!